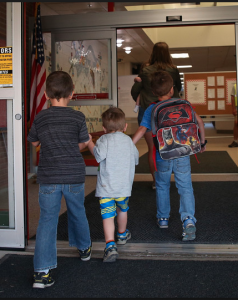 Park City School District is continuing its goal to improve safety and security districtwide, in an effort to create a positive learning environment for all students. Here are the projects and programs the district has been working on since our last Safety Update. Increased Law Enforcement Presence: We hope you have noticed the increased police presence around our schools. The Summit County Sheriff’s Office and Park City Police Department have asked their officers to increase their patrol around our schools, and when possible, to go inside the school and be visible to our students. We are appreciative of law enforcement’s extra efforts on behalf of our students and staff. Safety Report Presented to Board: Cole Smith, a safety and security expert with the Tresit Group, presented the Board of Education with his analysis of district safety protocols on Feb. 27. Smith, a former Special Agent for the Department of State Diplomatic Security Service, submitted a report that includes recommendations for the following: visitor access policy, background checks, lessons learned from drills and areas of improvement, historical threats in Utah and best practices for school safety, future training for staff, access control and perimeter, and modular classroom threat assessment. Smith said the current steps being taken by the district to improve safety procedures, visitor access, and perimeter security are in line with best practices. Elementary Front Offices: Based on recommendations from the Tresit Group, we have worked with architects to redesign the elementary school front offices. The revised drawings should be finalized the first week of April. –McPolin Elementary: We are expanding the front counter and adding two additional doors to ensure secretary visibility. –Jeremy Ranch and Parley’s Park Elementaries: Finishing floor molding, adding a door and wiring entry for speakers. –Trailside: Adding an additional door and wiring entry for speakers. The Board is discussing the need for additional security at the schools until the front offices are complete the end of May. The Tresit Group recommends leveraging local law enforcement. Work on secondary school offices will begin in June. Door Lockdowns/Panic Buttons: In February, we once again tested the door lockdowns and front office panic buttons throughout the district to ensure they are all in working condition. 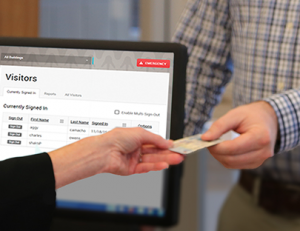 Visitor Management System: Beginning next school year, all visitors to our schools will be required to enter through the main/front door of the building and report to the front office to sign in and receive a visitor badge. Visitors will be asked to submit their driver’s license or other valid form of government-issued identification containing a photograph to obtain a visitor pass. Valid forms of ID include a current driver’s license or state-issued identification card from any of the 50 states, U.S. passport card, Active Military ID, or other government-issued identification containing a photograph. There may be other cases that do not fit into these areas; they will be handled case by case, at the discretion of the Principal or Superintendent. PCSD is currently testing visitor management systems that can scan I.D.s and automatically allow visitors into the front office. A final recommendation will be made the first week of April, and purchase will begin through procurement in mid-April. The last week of April the district will begin training and communication for the new visitor system. The system will be consistent at all PCSD schools. Once the system is purchased, we will have a soft launch later this spring. Fencing at Elementary Schools: The district is in the process of receiving bids for fencing at each school. Construction will begin once the weather becomes warmer and the ground is dry and ready for concrete work. The Tresit Group is reviewing the location and security of proposed gates. We hope to begin installation the week of April 16. New Legislation: The district is coordinating with the Tresit Group on the new legislation passed this session regarding hardware height and provisions for locks and bolt locks that are used in a school lockdown or lockdown drills. This change in the law will allow for use of newer classroom door lock technology that previously did not meet building and fire code standards. Mental Health: An important component of school safety is school culture, school counseling, and mental health issues. The district has increased school counselors and social worker counselors to support families and students. We have also doubled the number of nurses in the district, enhanced community partnerships with Communities That Care and the Summit County Health Department. 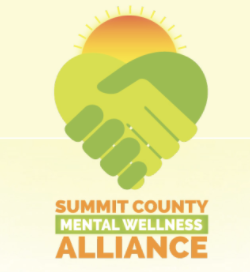 PCSD is also an engaged partner in the Summit County Mental Wellness Alliance that works to improve awareness about mental health and substance abuse. The Board of Education is continuing to provide more resources to assist with the mental wellness of students. Next Safety Drill: The district will continue to conduct safety drills on a monthly basis. We will no longer provide advance notice to students, staff, or parents in an effort to practice under more “real-time” scenarios. The Great Utah Shakeout (earthquake drill) is April 19 and all schools will be participating. See Something, Say Something: Parents and teachers, please continually remind your students if they see something that seems odd or out of the ordinary, they should report it to you or school administration. If it happens outside of school hours, immediately contact the Park City Police or Summit County Sheriff’s Office (depending on where you reside). Once we are notified of something suspicious, we immediately involve law enforcement and begin the process of investigating the tip. SafeUT App: The SafeUT app is a statewide crisis text and tip line that provides real-time crisis intervention to youth through texting and a confidential tip program. While the main thrust of this program has been crisis counseling and suicide prevention, the app can be used to report bullying issues as well as potential school safety threats or related issues. 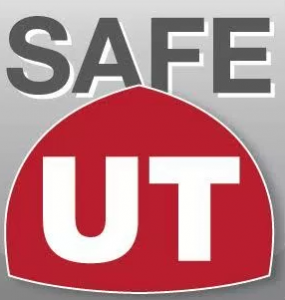 It’s been reported that tips shared through the SafeUT app have already prevented dozens of planned acts of violence at Utah schools. Teacher Possession of Firearms: As per state law, teachers and administrators are allowed to have concealed weapons in their possessionat school, as long as they meet the requirements outlined in state code. There is no requirement that administrators ask their teachers whether or not they are permit holders and/or whether they carry within the schools. I see no remodel at TMMS, not a thing has changed. Whats up? Treasure Mountain Junior High’s front office will be remodeled, starting in June. Thanks, this is informative. My only question is, shouldn’t our school administrators know which teachers are permit holders and/or whether they carry a concealed weapon while at school? This seems important for a number of reasons, not the least of which is to be able to notify law enforcement of said teacher(s) if ever there was an incident to keep said teacher(s) from being mistakenly shot. Plus, as a parent, I would appreciate it if the school administrators knew where weapons were in the school – perhaps to notify said teacher in case there ever was an incident. Carrying concealed weapons in public schools is a right protected by law for permit holders in Utah, and teachers who carry firearms are not required to inform school administrators of the existence of their weapons. Parents, by law, are not allowed to ask their child’s teacher if he or she is carrying a gun in the classroom. McPolin is the only elementary that does not say ‘wiring for speakers’ under improvements. Why is this? McPolin’s wiring is just about complete. Great work guys. I think the kids have really appreciated having an officer around our school more often. He’s been awesome, jump roping and playing with the kids whenever he gets a chance. Wondering why school doors cannot be locked during the school day in the meantime, while improvements are underway? I understand there may be some logistical issues, but something seems better than nothing in this case. Fencing the parameters of the school only further traps people in, in the event of a crisis. Personally, it causes me to feel uneasy to think I won’t be able to pick up my kids (or enter the building) if my drivers license gets lost or is expired. I did appreciate that parents were at least informed when their students are going to be locked in against our will & parents locked out, (even if just to conduct unwarranted locker searches). But, if we aren’t even going to be told of these “safety drills” till after the fact, why are my kids enrolled in the district in the first place? I’m getting the sense that my childrens rights & mine are compromised & violated just entered the building. This is America, in a first class ski town & you’re making it resemble early Nazi Germany. I’m more afraid of what you’re doing than potentially armed boogeymen. Creating institutions of perceived terror does not fit in line with who this community is. You don’t seem to be hosting what appears to be a “safe system.” You appear to be hosting criminal handling, wherein people are taught to be afraid & to submit paperwork of identification & be prepared to be searched even when no crimes are reported. This seems to me to be a gross abuse of power. It saddens me when the entire district choir kids sing about how our rights won’t be seized, as they already appear to be. My forefathers fought & died for our rights. They were not attained cheaply. But, sure throw them out, if you wish. That’s a very steep slope.